The Human Hamster Ball Race Track is a classic activity for any event. Players move through a 75’ track as they race to the finish line. 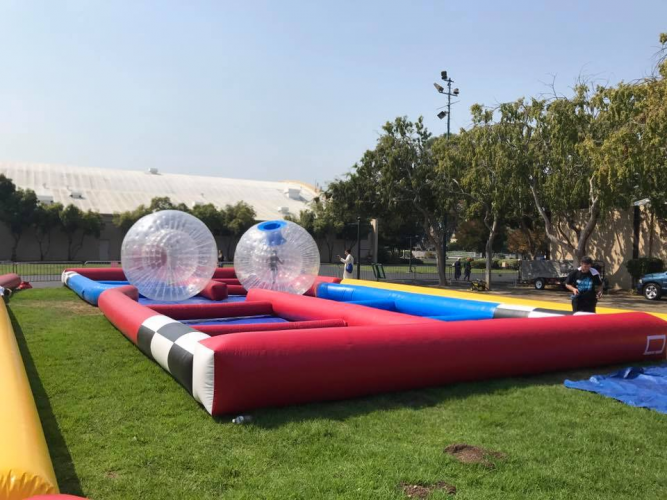 Rent the Hamster Ball Race for corporate picnics, school field-days, and even backyard birthday parties. Includes 2 Zorb balls and a 75’ track.